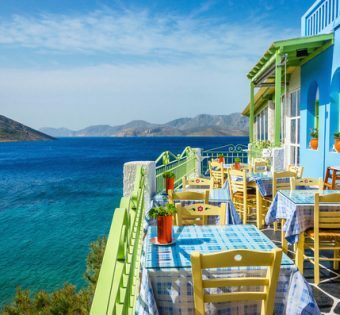 Greece is a country in Southern Europe, on the southernmost tip of the Balkan peninsula, with extensive coastlines and islands in the Aegean, Ionian, and Mediterranean Seas. It shares borders in the north with Albania, the Republic of Macedonia, Bulgaria, and Turkey. It has an ancient culture that has had a significant influence on the arts, language, philosophy, politics, and sports of western society, including the genres of comedy and drama, western alphabets, Platonic ideals, and the Socratic method, democracies, and republics, and the Olympics. Furthermore, it's a geographically appealing place to visit, with a mountainous mainland and idyllic island beaches. Greece is one of the world's most popular tourist destinations, ranking in the world's top 20 countries. According to the Greek Ministry of Tourism, the nation received about 17 million visitors from January to mid-August 2007, a large number for a small country of 11 million. Visitors are drawn to the country's beaches and reliable sunny summer weather, its nightlife, historical sites, and natural beauty.